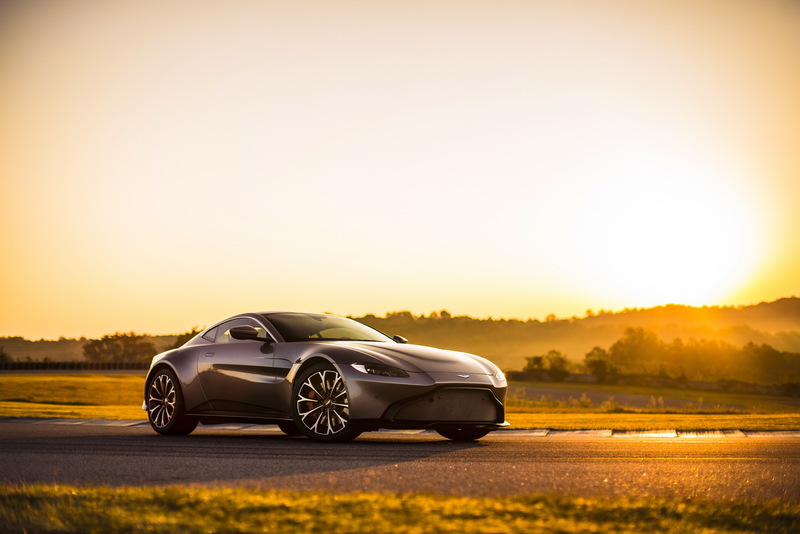 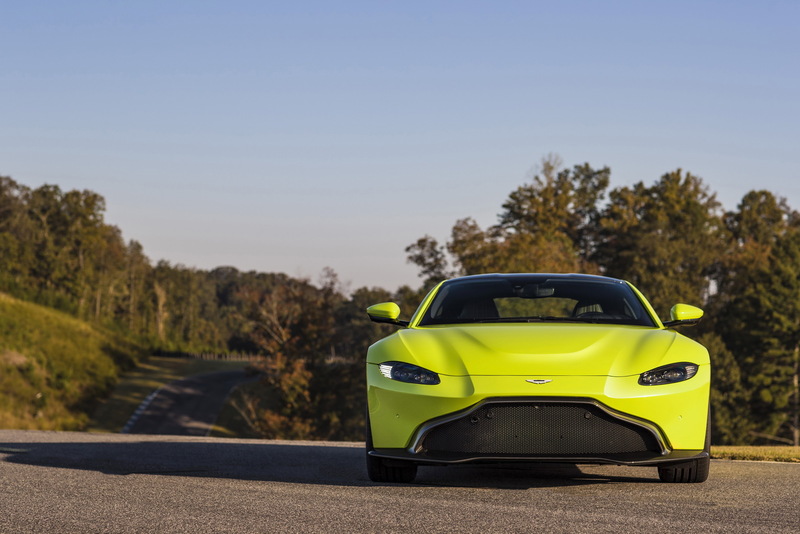 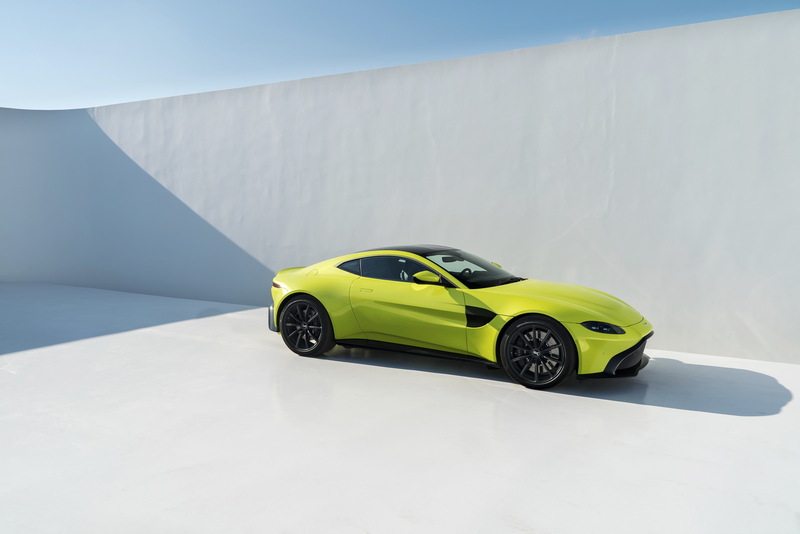 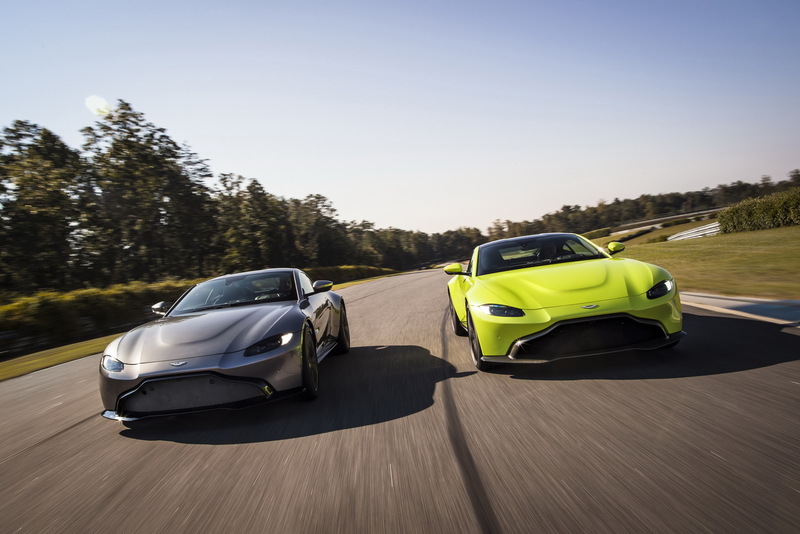 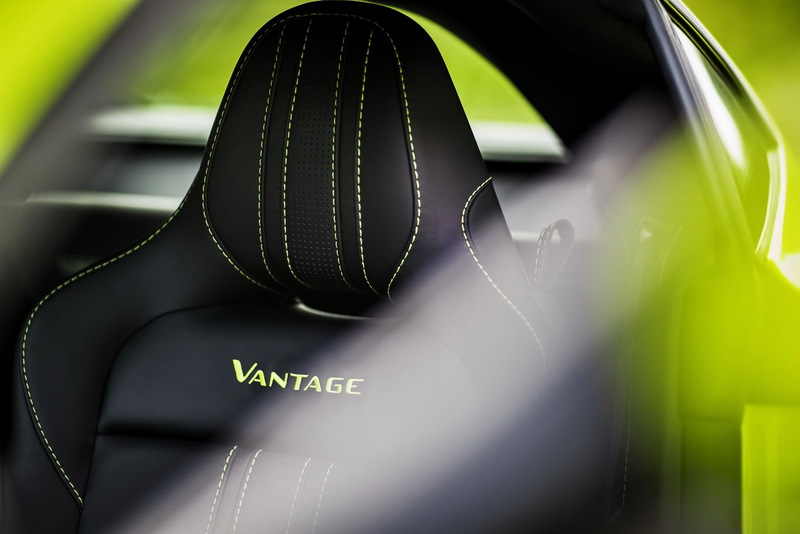 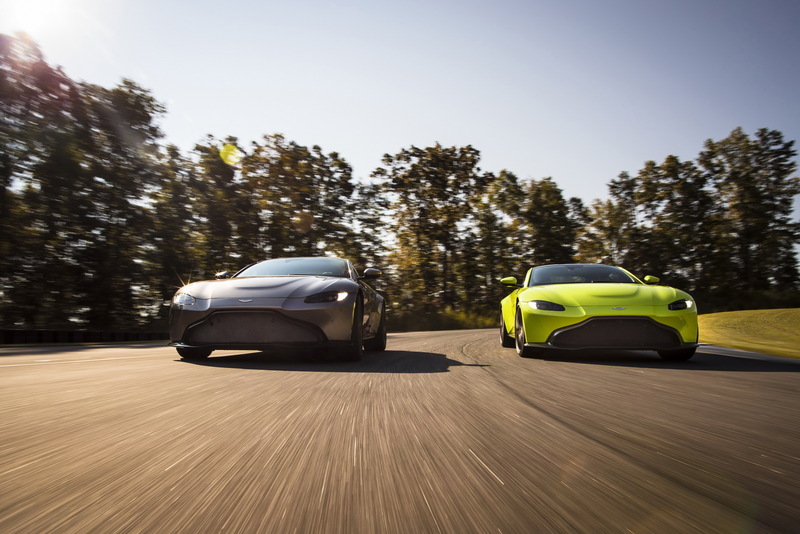 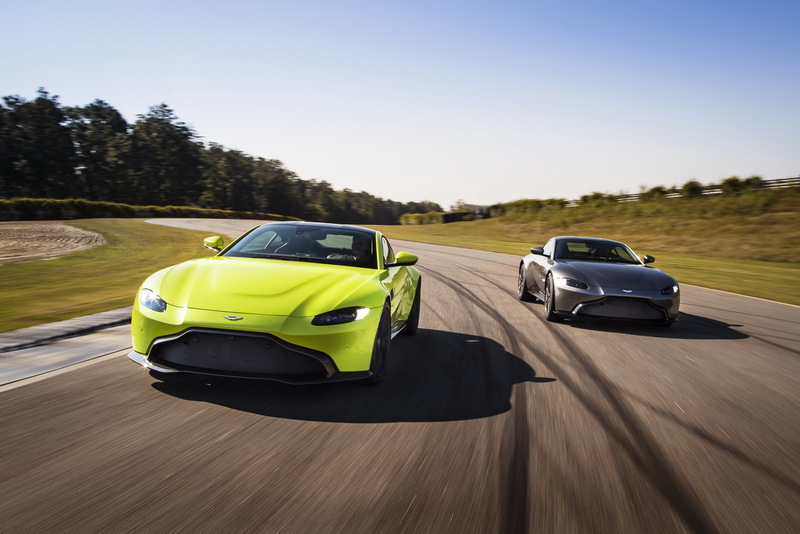 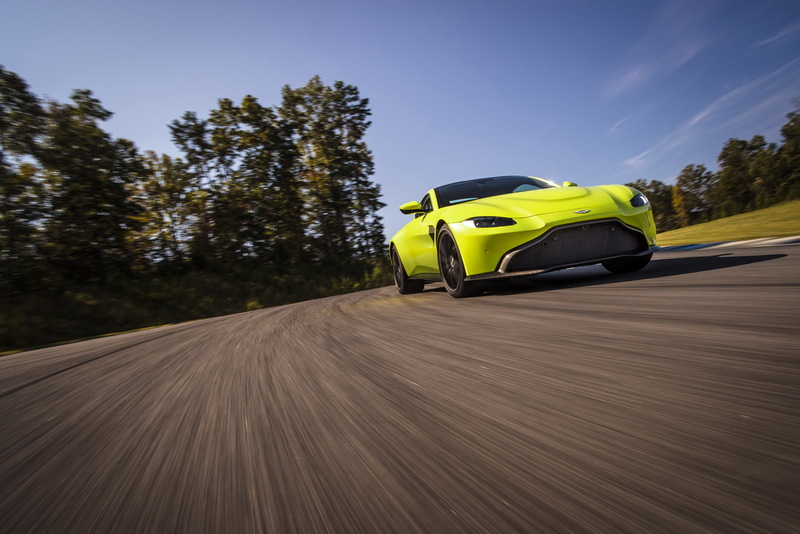 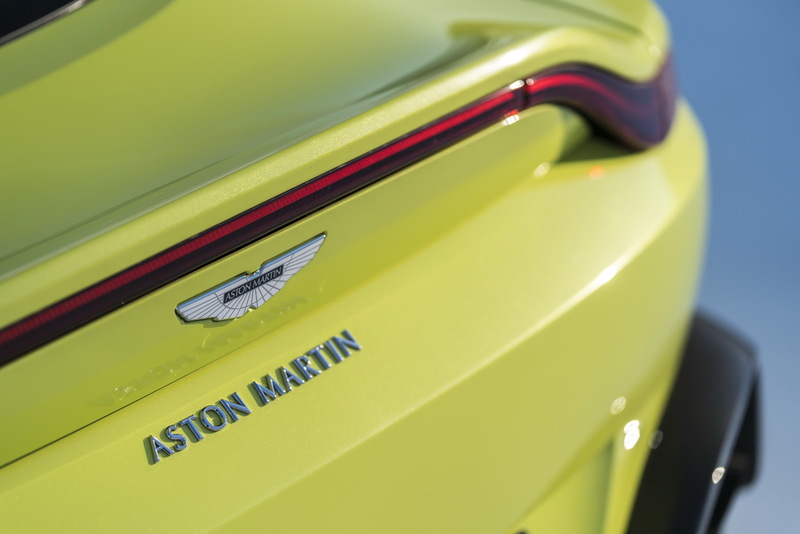 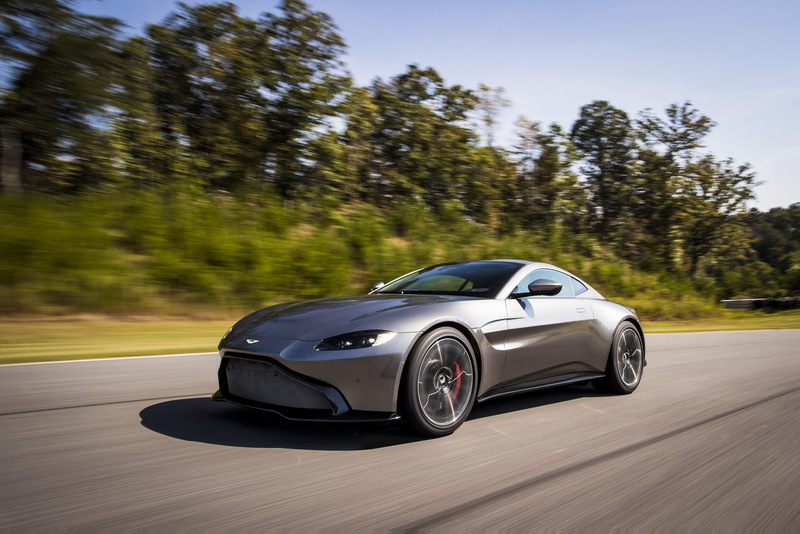 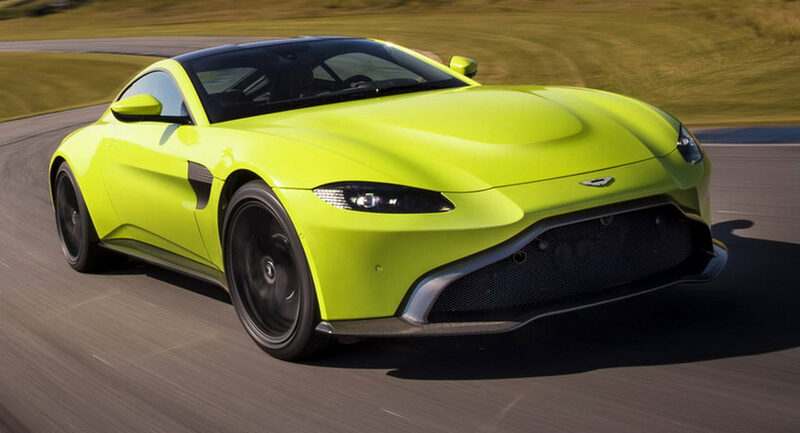 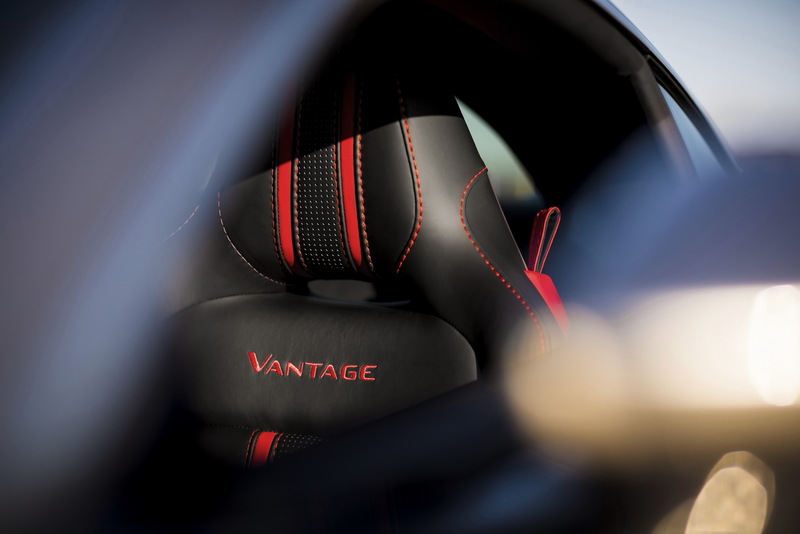 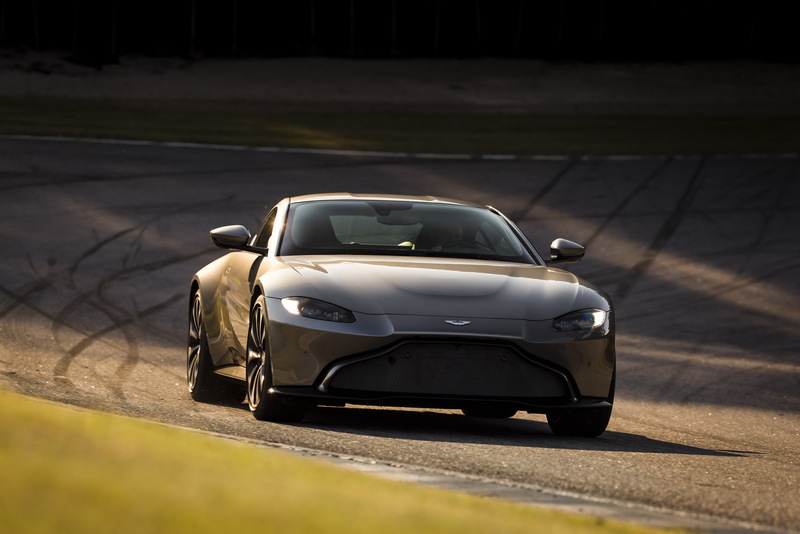 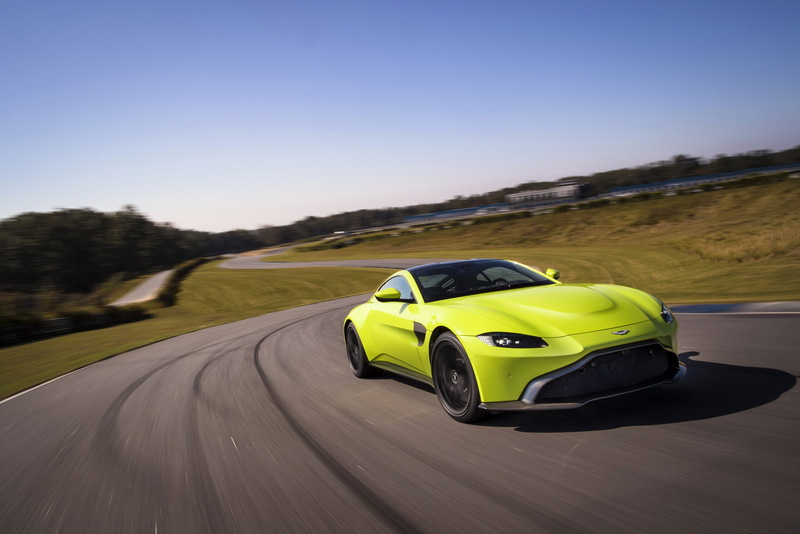 Replacing a car like the previous-gen Vantage is an incredibly difficult task since that model was universally praised for its drop-dead gorgeous looks but Aston Martin has made it look easy with the breathtaking new Vantage. 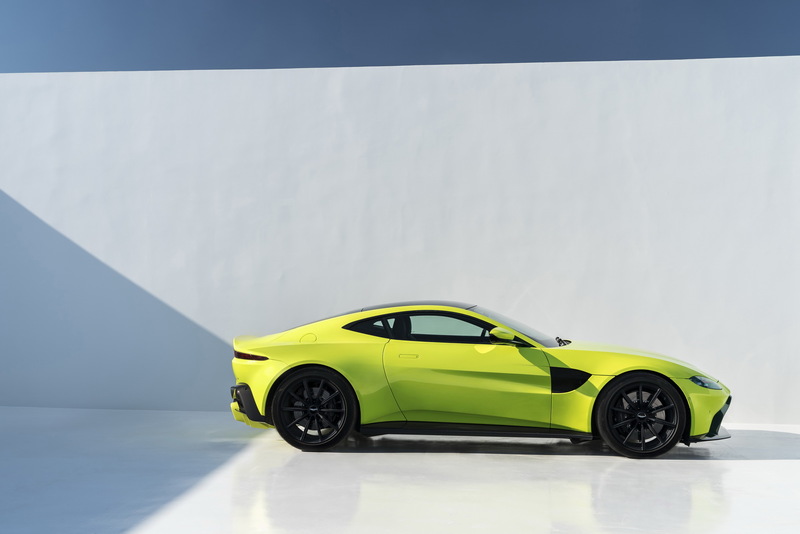 Everything is new on Aston Martin’s latest sportscar, from the chassis to the powertrain and from the onboard technology to the clever aero agenda. 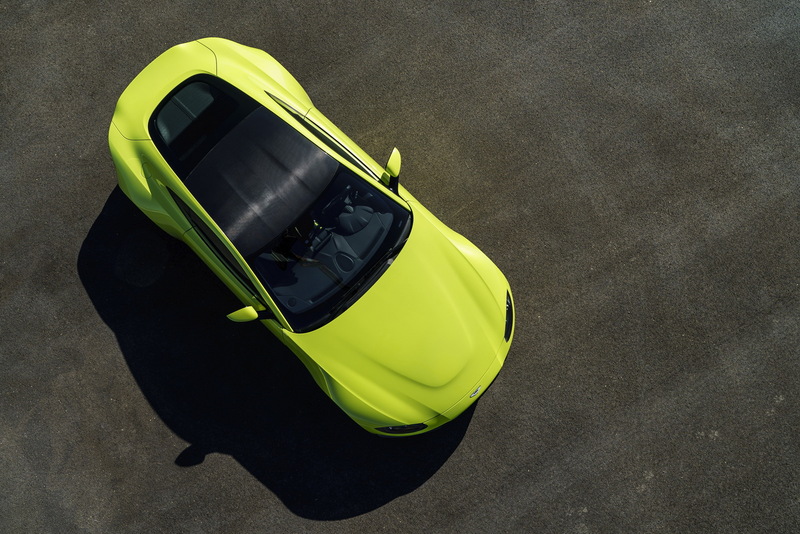 Power comes as expected from the AMG-sourced twin-turbo 4.0-liter V8 that here makes 503hp (510PS) and 505lb-ft (685Nm) of torque. 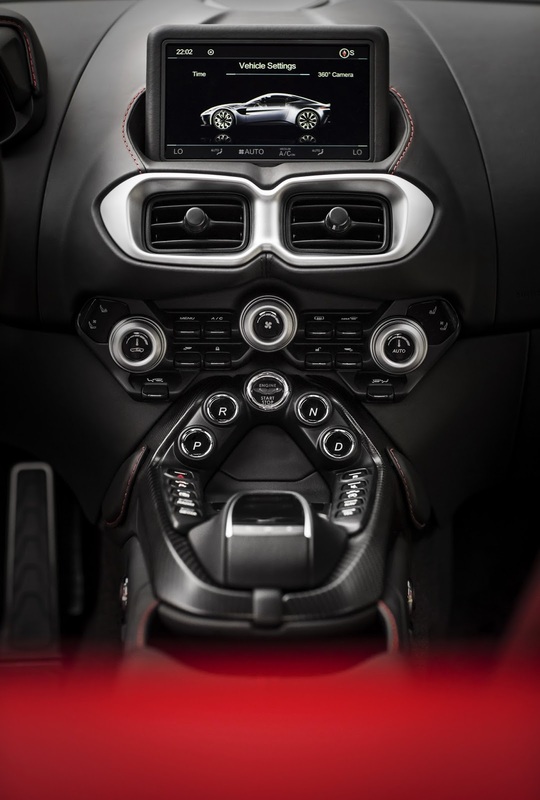 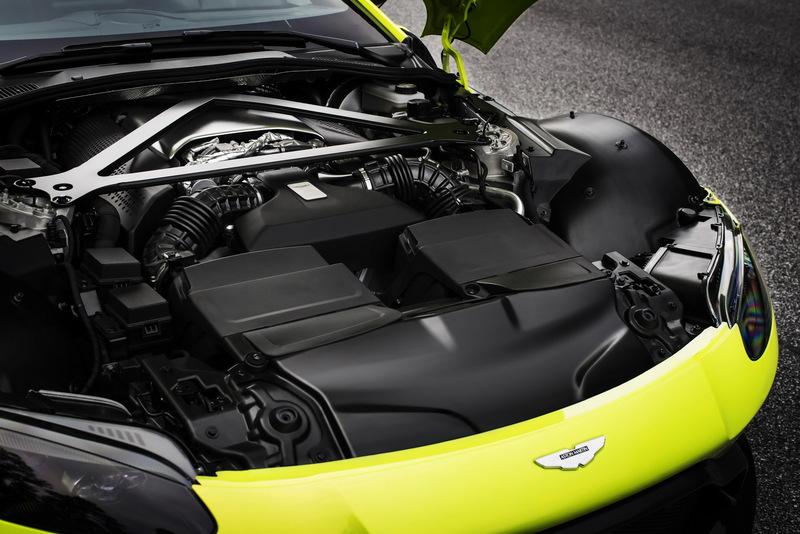 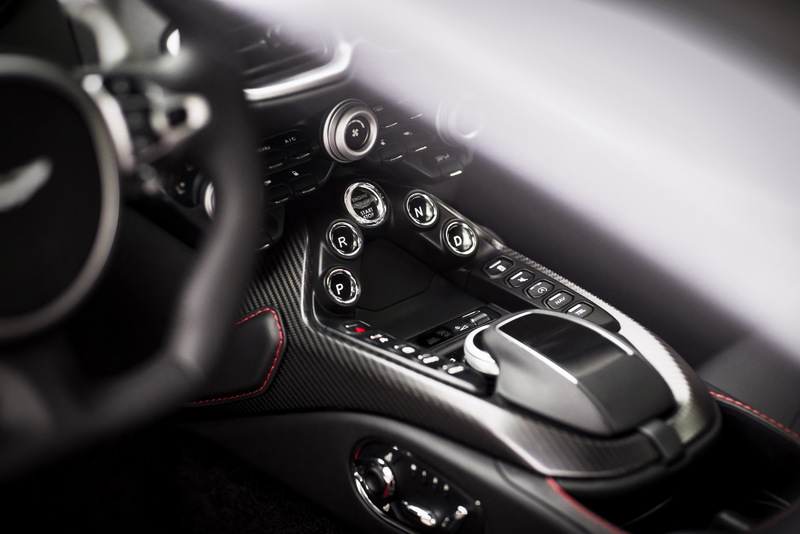 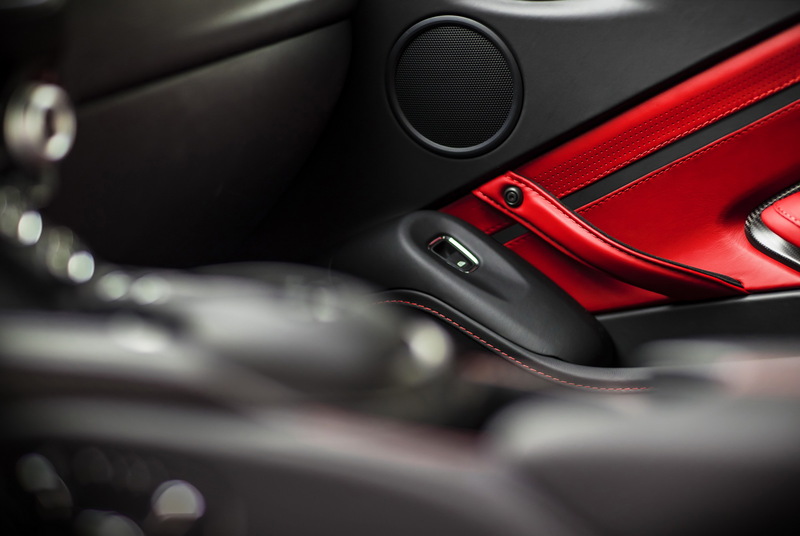 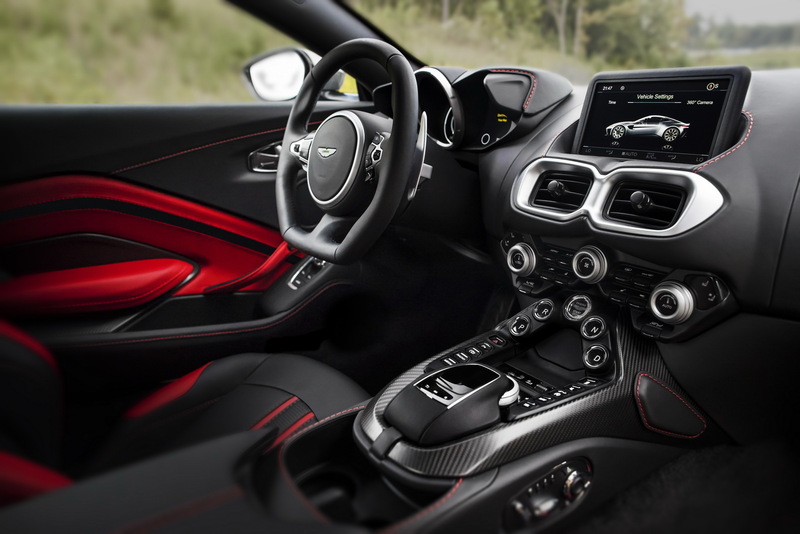 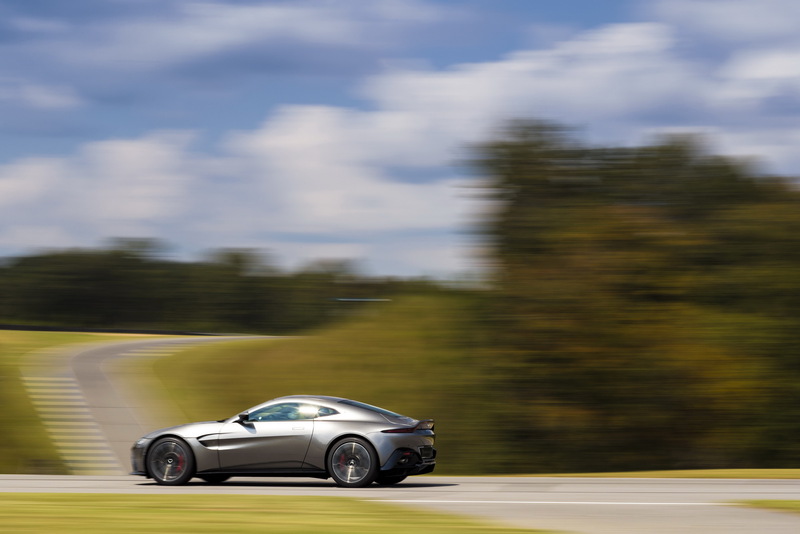 Paired to it is an eight-speed ZF automatic transmission, with Aston Martin hinting at a manual option later on. 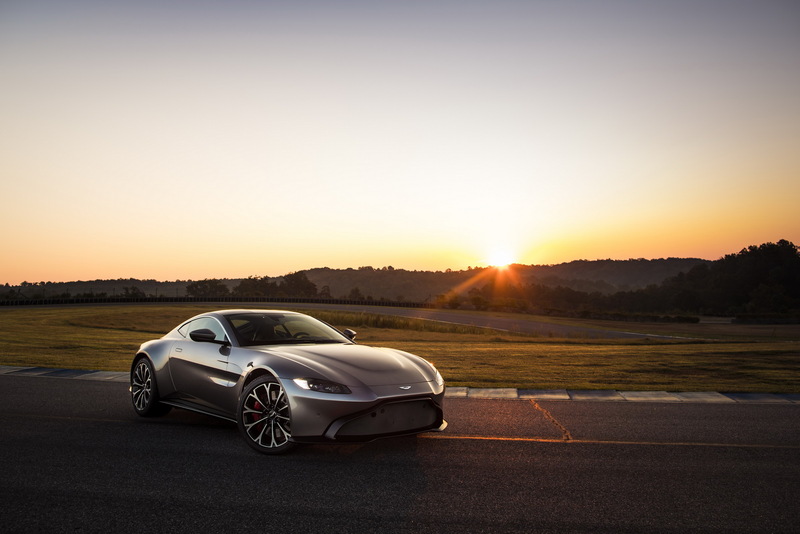 The chassis is an evolution of the DB11’s aluminum structure, with Aston Martin claiming that 70 percent of it is new for the Vantage. 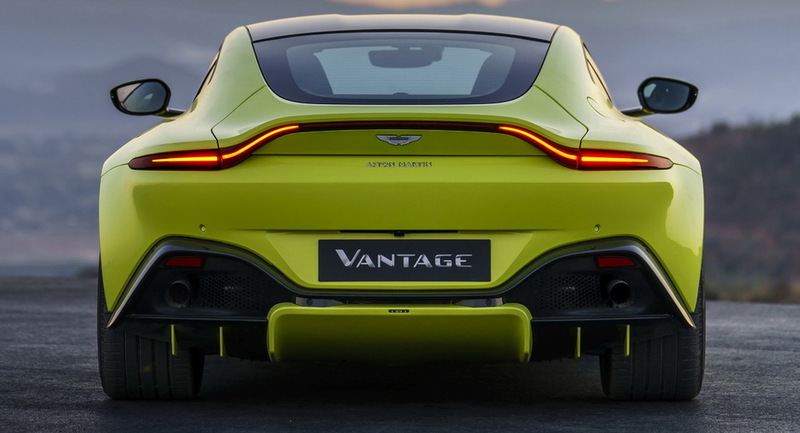 The rear subframe is now solidly mounted to make the driver feel more connected while the suspension employs double wishbones at the front and a multi-link setup at the rear. 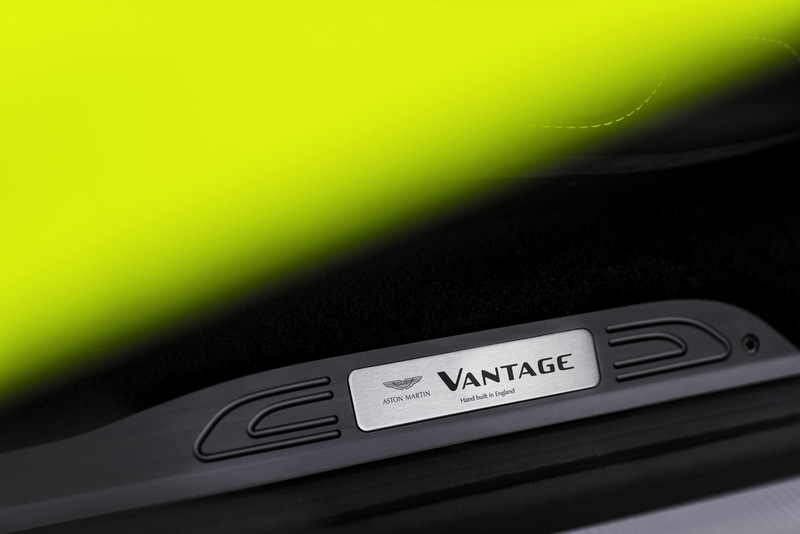 The latest generation of active dampers are also present, offering three modes: Sport, Sport Plus and Track. 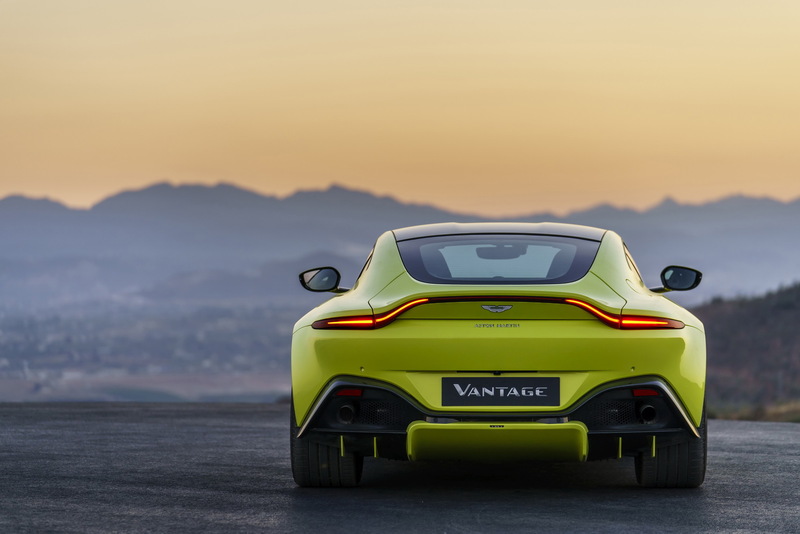 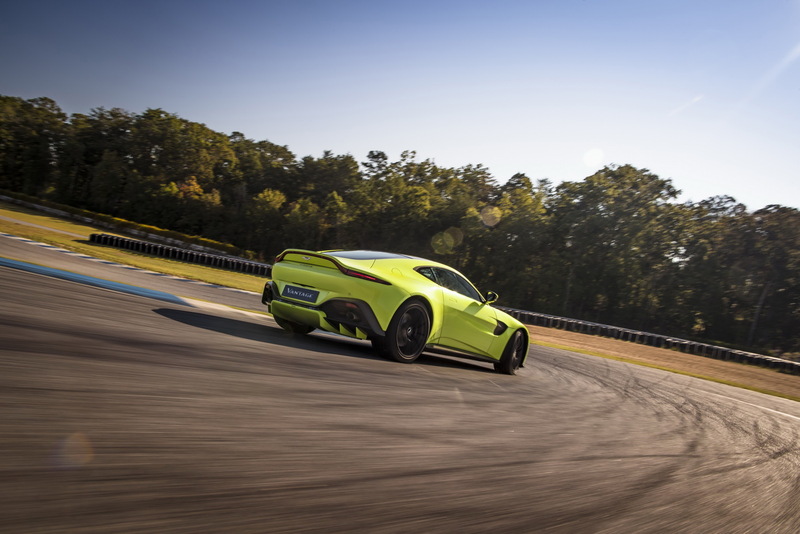 The new Aston Martin Vantage is also the company’s first model to use an electronic rear differential (E-Diff). 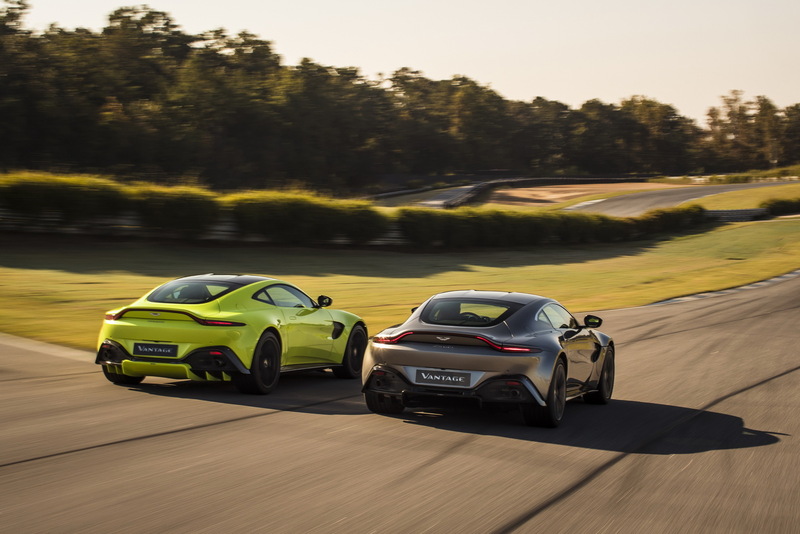 Linked to the vehicle’s electronic stability control system, the new differential adapts its characteristics much more cleverly than a conventional LSD, making the car feel more composed, both on a straight line and while cornering. 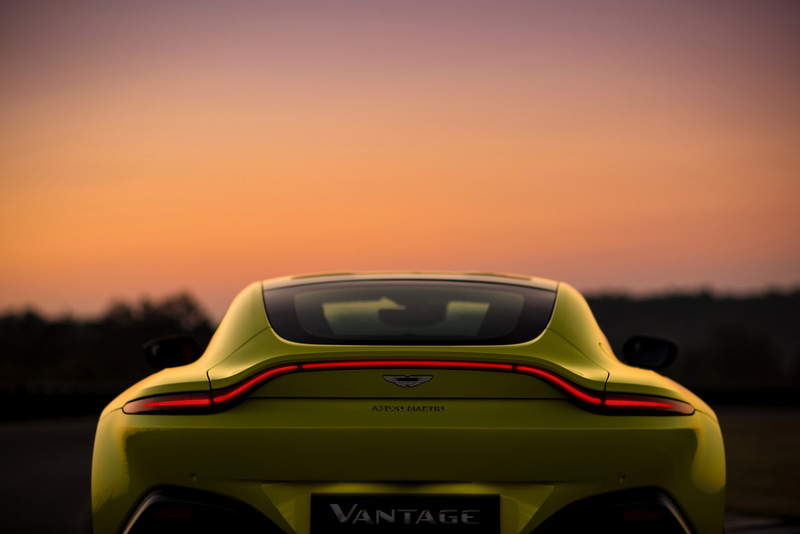 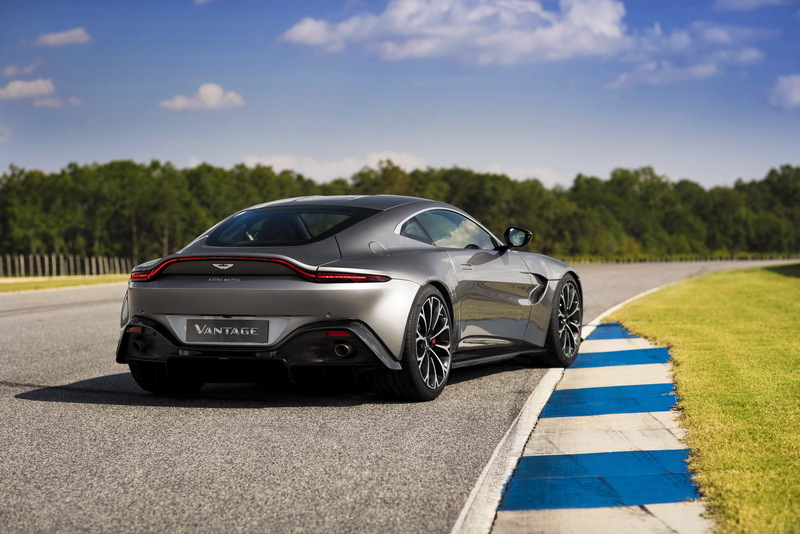 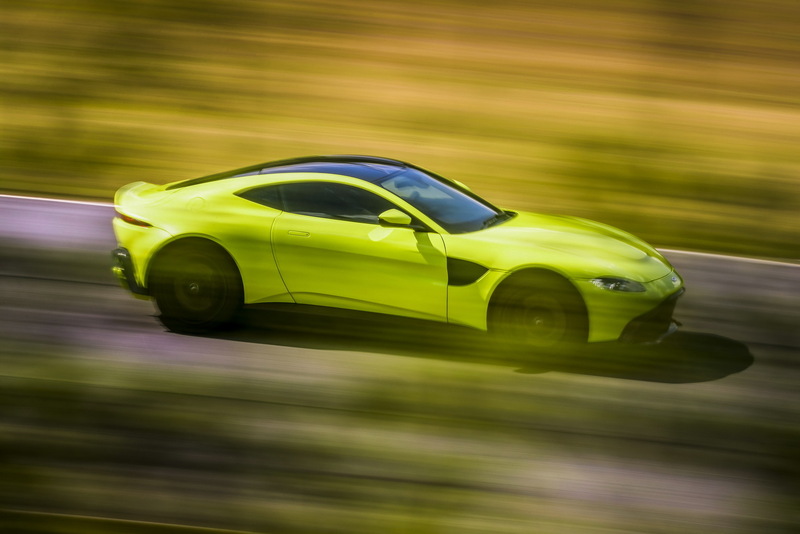 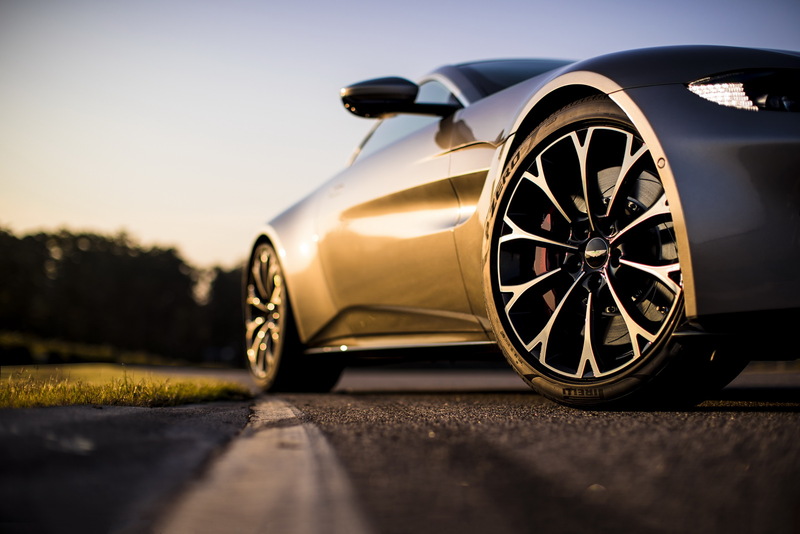 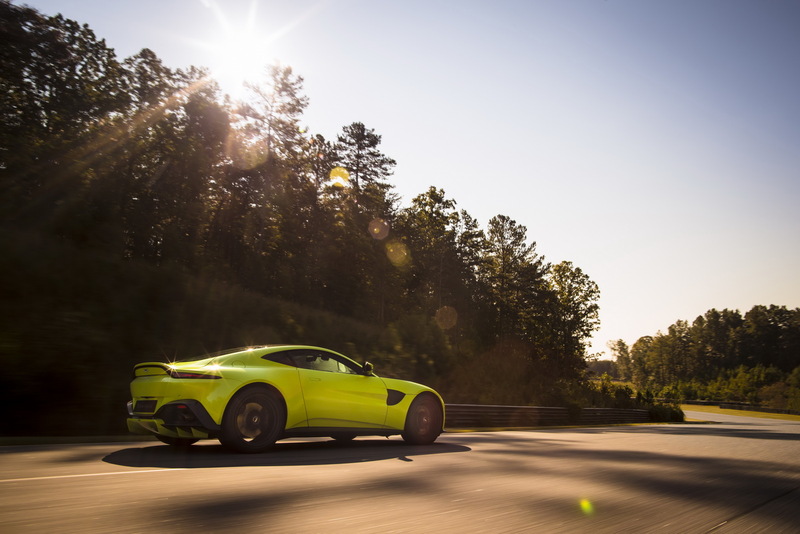 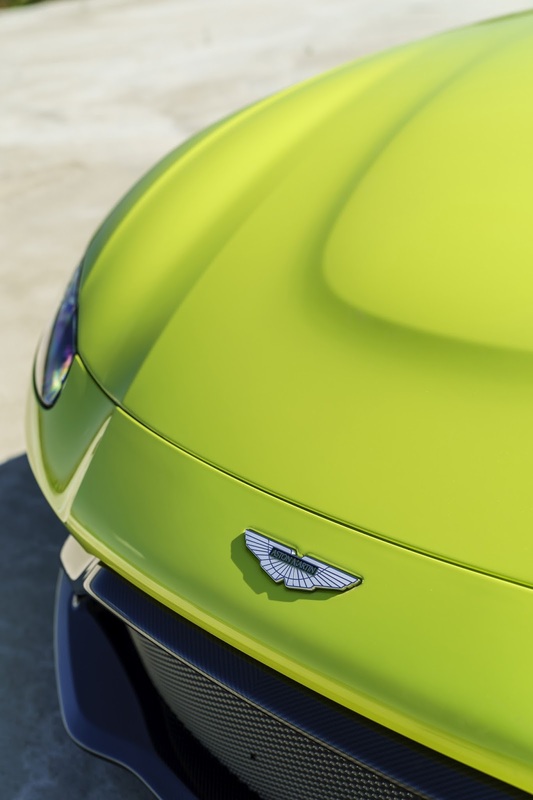 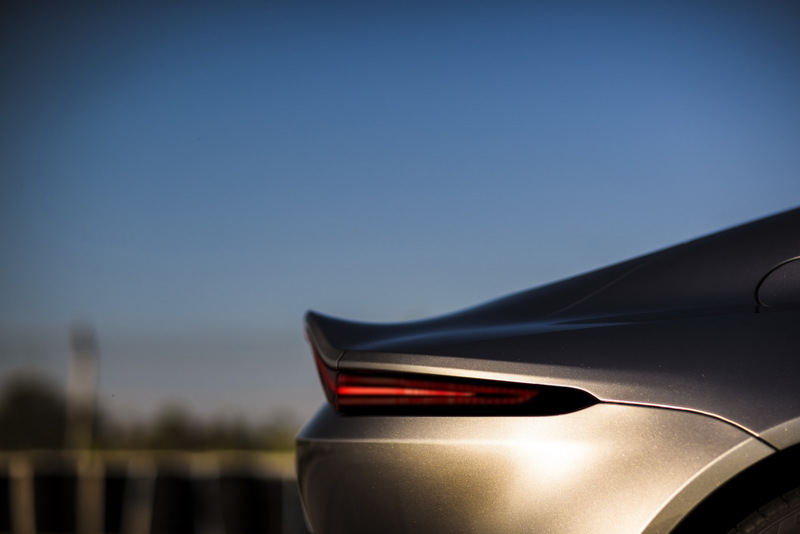 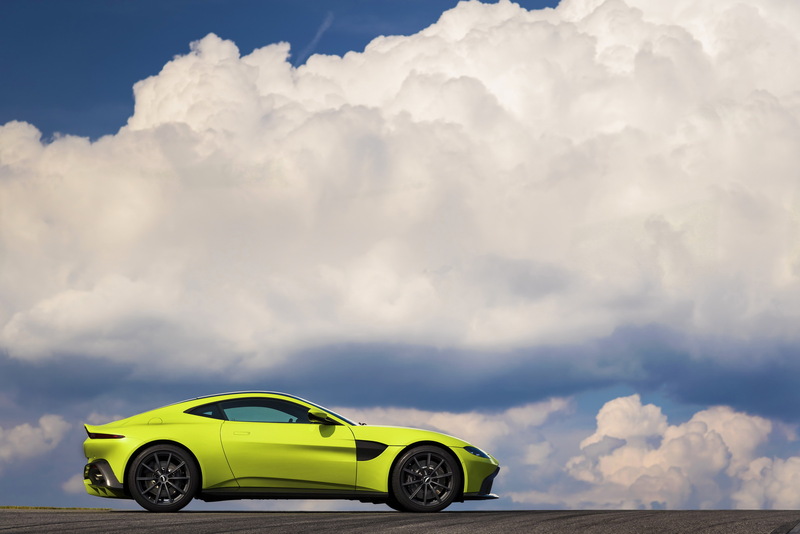 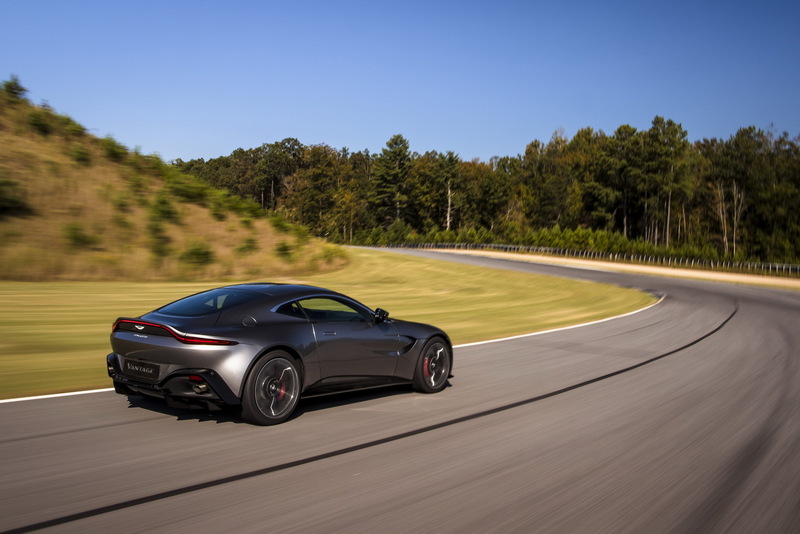 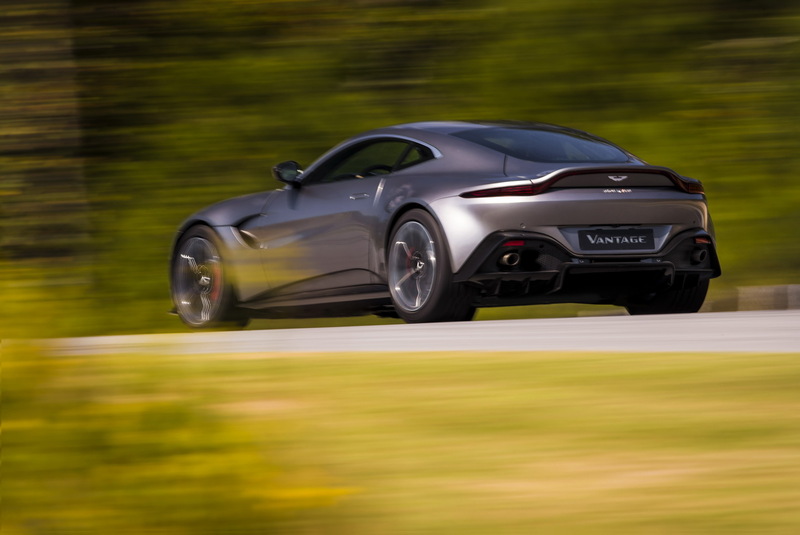 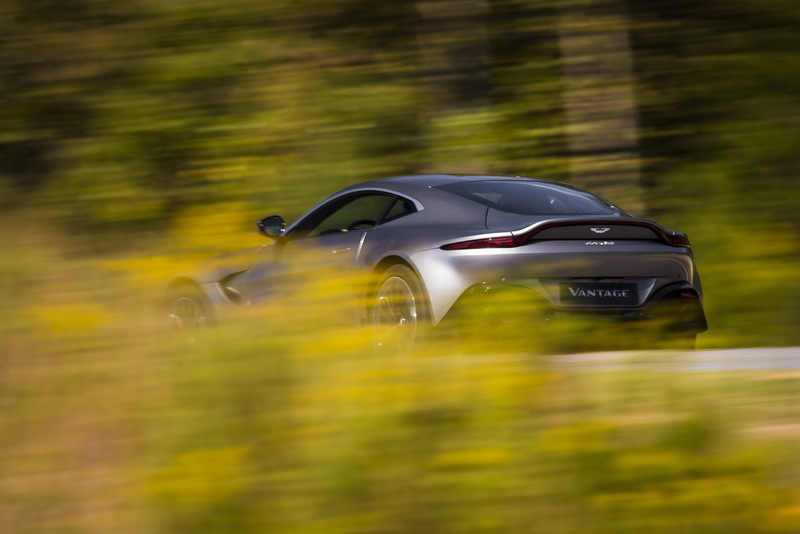 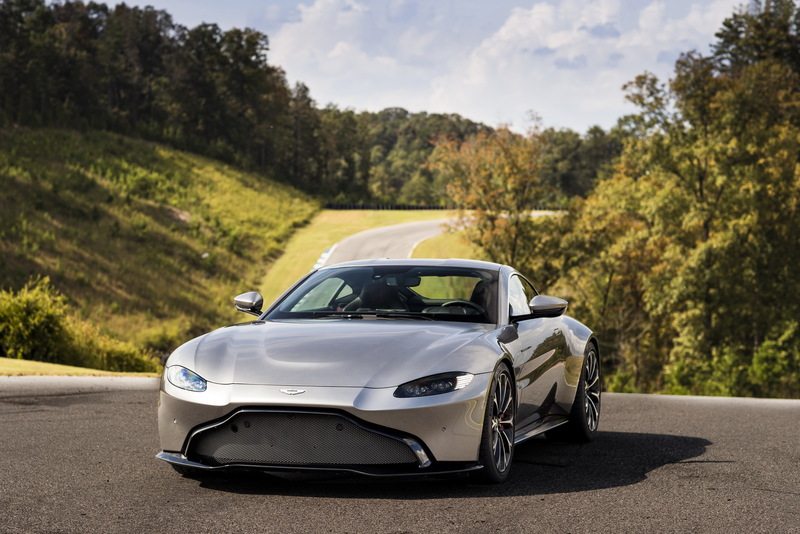 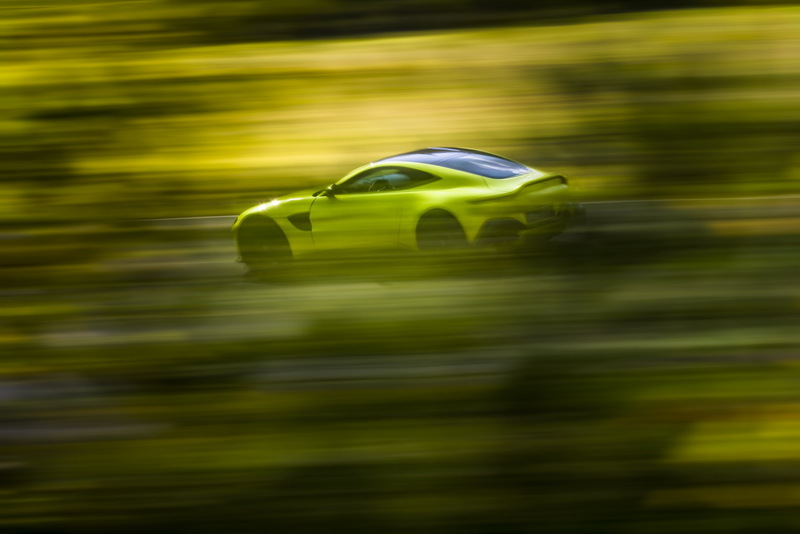 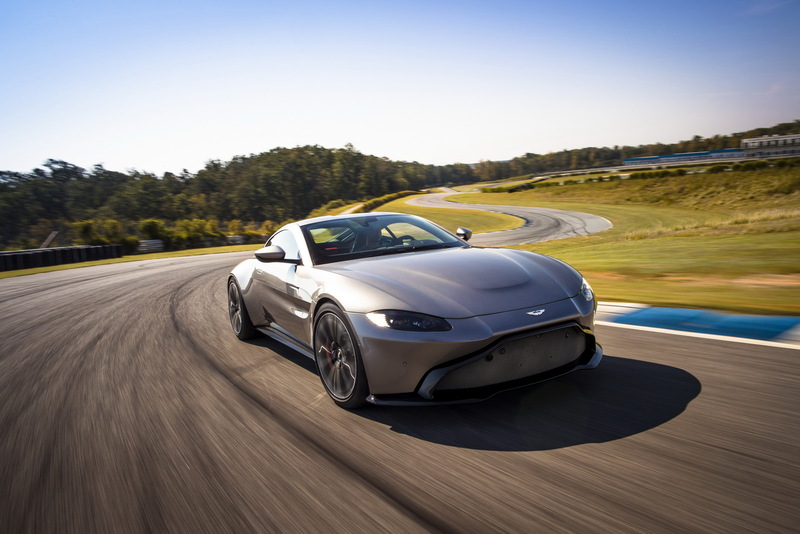 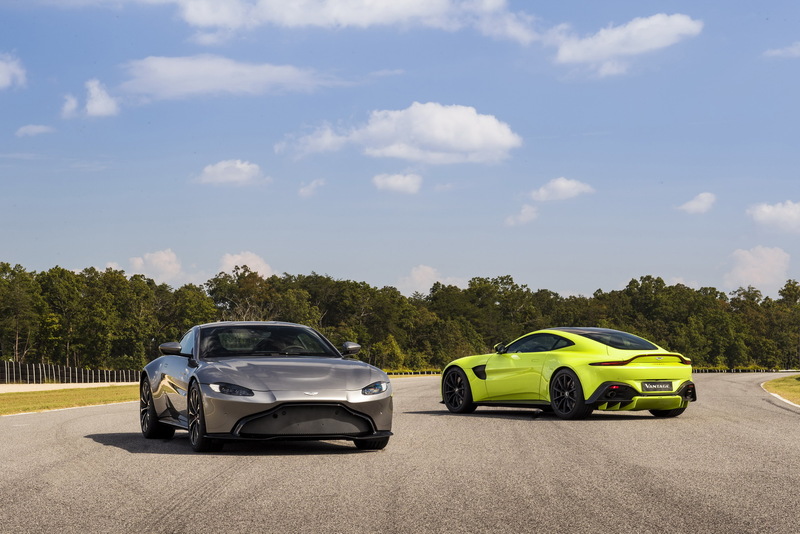 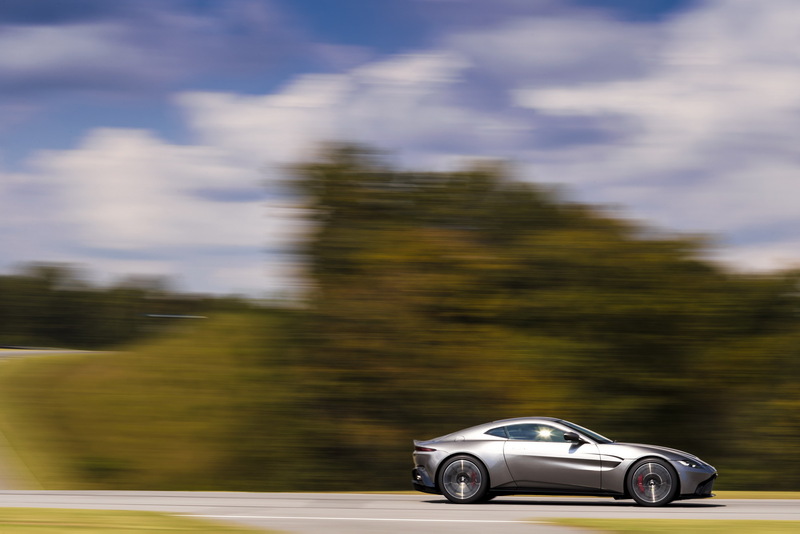 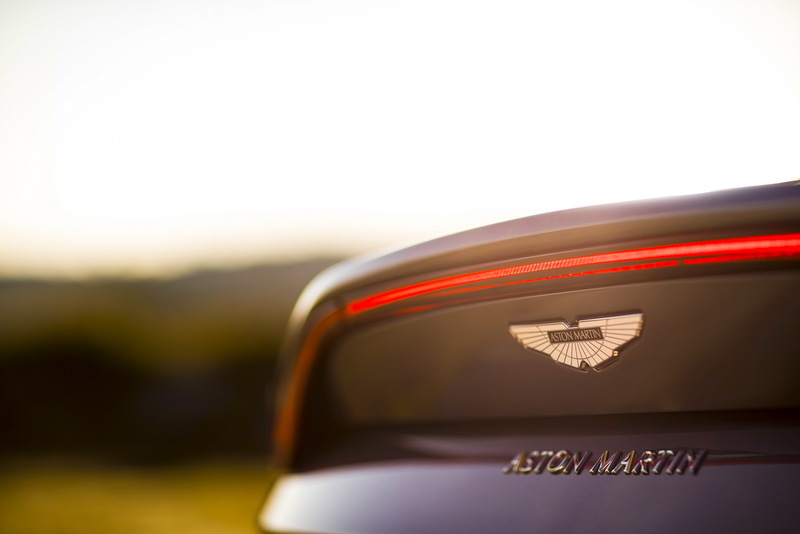 Aerodynamics was also a key point to the design of the new Vantage; Aston Martin was able to employ all the latest tricks without littering the car’s curvy bodywork. 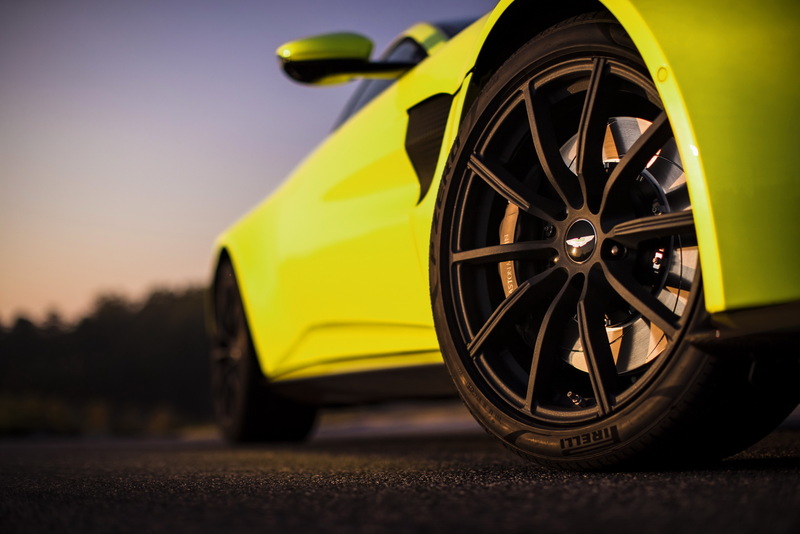 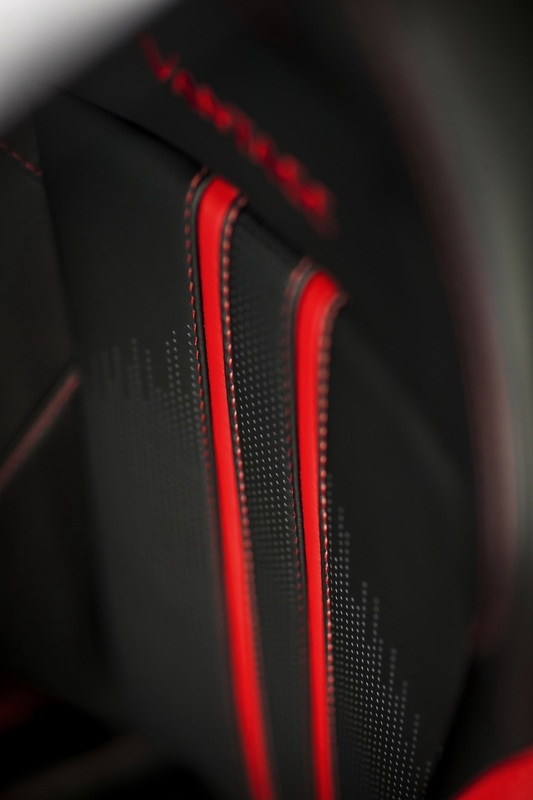 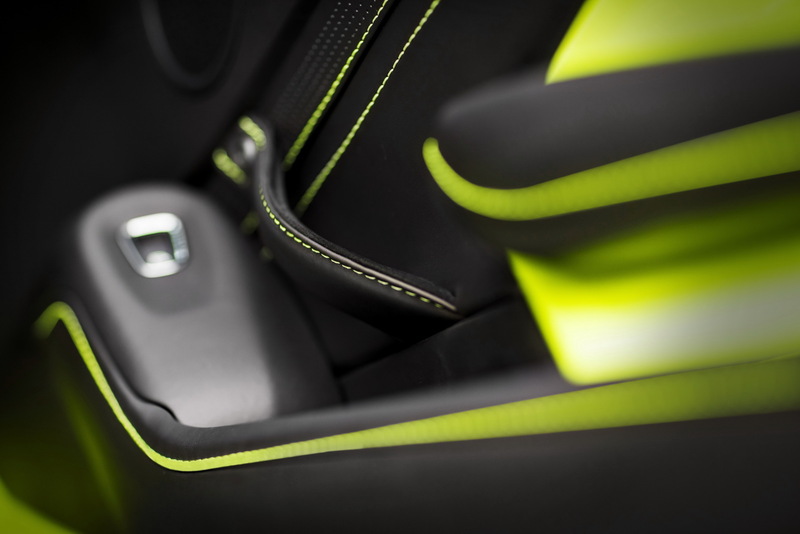 The front splitter is designed to direct airflow underneath the car, with the floor featuring special channels to continue guiding it into the right places and of course make sure that the airflow into the rear diffuser is clean and uninterrupted. 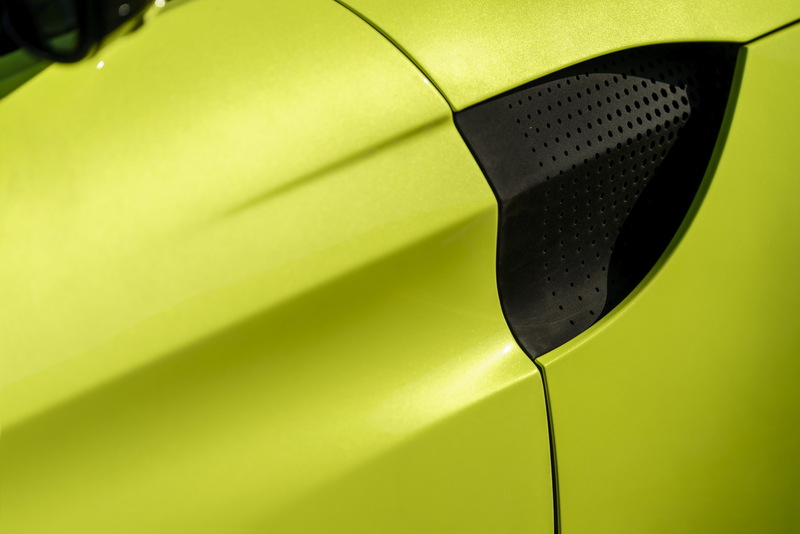 Even the new side gills are designed to bleed air pressure out from the front wheel arches while the rear deck lid produces “a significant level of downforce”.